Nebraska’s offense dug itself a two-touchdown hole early in the game with a pair of pick-sixes by quarterback Tanner Lee, but despite that the Huskers battled back to take a 17-14 lead early in the fourth quarter. Immediately after that score, Nebraska gave up this week’s play of the game, a 47-yard pass from Daniel Santacaterina to receiver Christian Blake. Nebraska put together a six-play, 63-yard touchdown drive that culminated in the second rushing touchdown of the game for Lee, giving Nebraska its first lead of the game. Following the extra point, Drew Brown put the kickoff through the end zone for a touchback. On first and 10 from the 25-yard line, Santacaterina dropped back as Blake sprinted up the right sideline. Santacaterina launched the ball down the field, over the top of sophomore cornerback Eric Lee Jr. and into the hands of Blake. 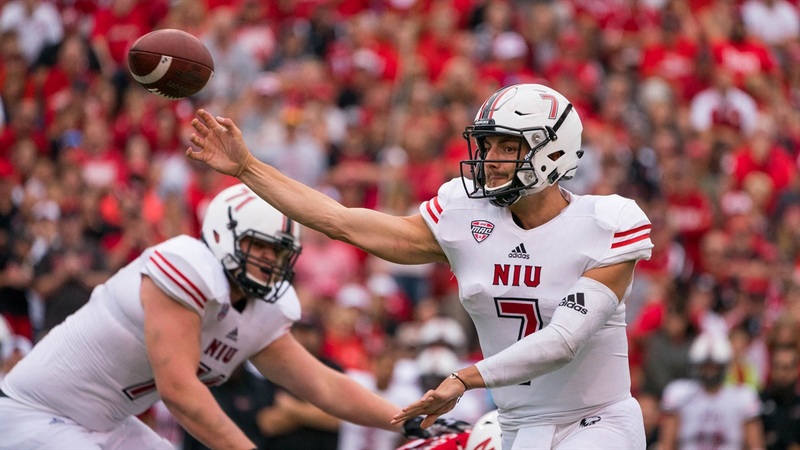 The play went for 47 yards, immediately flipping the field and putting Northern Illinois within striking distance of re-taking the lead at the Nebraska 28-yard line. Five plays later, the Huskies did just that, punching it in for their first offensive touchdown to go ahead 21-17. The play was Northern Illinois’s only completion of 20 or more yards. After pitching a shut-out through three quarters, the defense finally broke. Nebraska’s lead lasted less than two-and-a-half minutes. Since 2010, teams that threw two interceptions returned for touchdowns were 6-68 heading into the game. With the go-ahead touchdown drive, Nebraska looked to be in position to become the seventh team to pull out a victory from that mess of a situation, but one defensive breakdown put an end to that and the offense had to scramble and play from behind the rest of the quarter. Thought the first pick-six set the tone for the game and the second put Nebraska in a big hole, the 47-yard completion from Daniel Santacaterina to Christian Blake is this week’s Play of the Game.